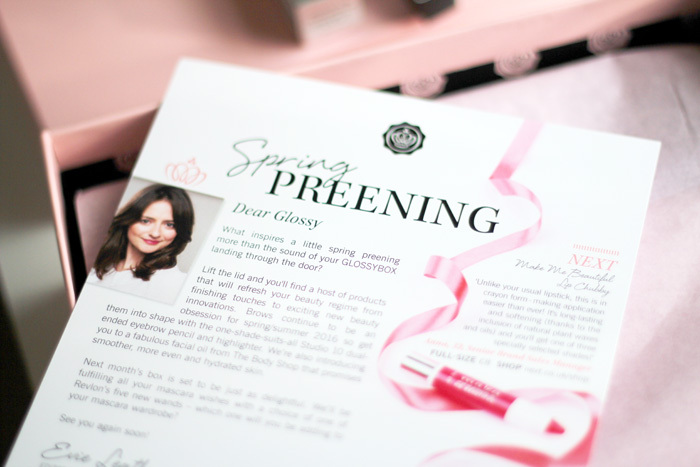 This month Glossybox are aiming to help us refresh our beauty regimes in time for Spring, from finishing touches to exciting beauty innovations. Natural lip shades will forever be my favourites, but I'm trying to experiment a little more with colour and first on this list is this lip crayon. If the Leighton Denny mist really does help to dry nail polish quicker, well, what could be better? I'm sure we've all painted our nails and then suddenly remembered something that needs to be done immediately but all we can do is sit there, helpless until they dry. 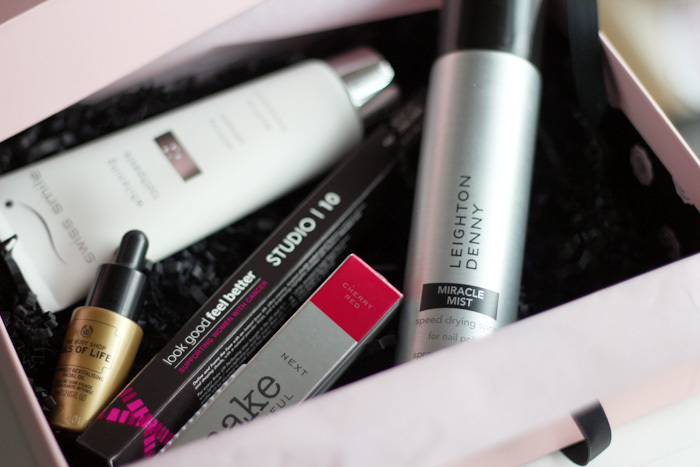 My favourite item this month is the facial oil. 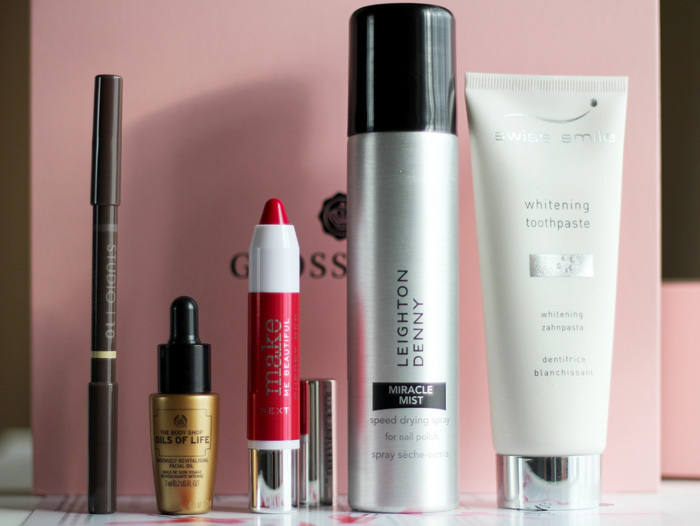 It promises to feel lightweight, boost radiance and nourish, which sounds like the perfect combination. I hope my skin doesn't hate it like it seems to hate every other skincare product at the moment.